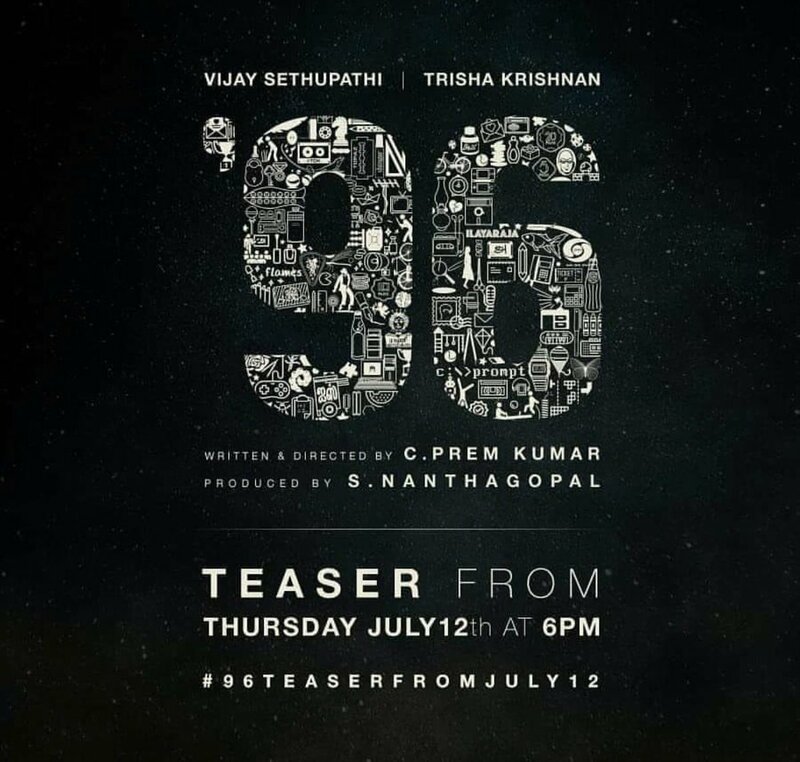 96 is an upcoming romantic drama starring Vijay Sethupathi and Trisha. The pair is fresh as they are coming together for the first time. The film has an unique exciting factor that the lead pair will be featuring in 3 ages of their lives. The first look poster and teaser of the movie will be unveiled on 12th July, coming Thursday at 5pm and 6pm respectively. >>Magical: Most Loved Scene From 96 Movie Released!